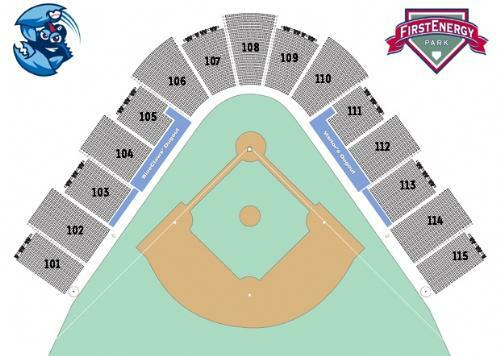 Accessible Seating tickets can be found in sections 101, 103, 105, 107, 109, 111, 113, 115. Please choose one of those sections, click "Select Seats," and then click on the seats that will accomodate your needs. The BlueClaws now offer ticket assurance for our online ticket purchases. Purchasing ticket assurance allows you to exchange your tickets if you are unable to attend your origianlly scheduled game. You can exchange your tickets for any remaining game in the 2019 season. You can add this on before you enter your billing information. THERE ARE NO REFUNDS AND NO EXCHANGES ON INDIVIDUALLY PURCHASED TICKETS. PLEASE DOUBLE CHECK ALL TICKETS BEFORE ENTERING ANY CREDIT CARD INFORMATION. If, at any point , you are unsure if your purchase has gone through please call the Lakewood BlueClaws Box Office at 732-901-7000 option 2 before completing another purchase. Make sure the the billing address for the credit card you are using matches the information on your account. If these are different, the transaction will not be able to be completed. All game times and promotions are subject to change without notice. A convenience charge of $1.50 per ticket will be applied at checkout. GENERAL ADMISSION (SOD SQUAD) IS NOT A RESERVED SEAT General Admission tickets give you access to the outfield grass area. Chairs are not allowed to be brought into FirstEnergy Park. Any child 5 and over requires a ticket to enter the ballpark. Junior priced tickets are age 5-12. Children 4 and under are FREE with the assumption that they will be sitting on the lap of an adult. Senior priced tickets are age 60 and over. Gates open ONE HOUR before game time. No outside food or beverage is allowed to be brought into FirstEnergy Park per South Atlantic League Rules. PURCHASING MULTIPLE GAMES - Select the tickets you need for the first game. Click the box for RESERVE THESE TICKETS AND SELECT ADDITIONAL SEATS FOR ANOTHER 2019 BLUECLAWS BASEBALL EVENT then click RESERVE THESE TICKETS. Select the next game you would like to attend. Continue the process until you have selected all of your desired games. When you have selected all of your games leave the boxes for "Reserve these tickets and select additional seats for this event" and "Reserve these tickets and select additional seats for another 2019 BlueClaws Baseball event" unchecked. Click RESERVE THESE TICKETS and proceed with the checkout.